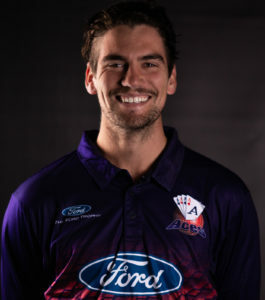 Ben Lister and Jamie Brown are the new kids on the block for the Auckland Aces this season, both bringing equal measures of nerves and excitement after signing their first professional cricket contracts. While the pair are both over six-foot and bowl a mean bumper, they are far from ‘nasty fasties’ and couldn’t contain their youthful enthusiasm for the upcoming 2017/18 season. Howick Pakuranga’s Brown described the moment he signed on the dotted line as a “wicked feeling” but says the call up came as a bit of a bolt from the blue. “Obviously there was an opening once Lockie [Ferguson] got called up, but even at that point there were so many blokes training the house down over winter I wasn’t getting my hopes up,” Brown explained. 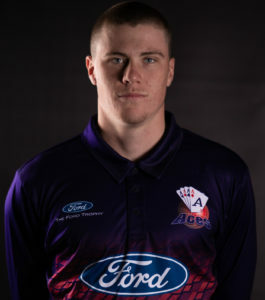 While Brown was a late inclusion, Waitakere’s Ben Lister was part of the initial contract group and the burly left-arm paceman is relishing his time in the professional cricket setup based at Eden Park. “I just want to learn basically, as long as I’m improving, I’ll be happy,” says Lister. He was also humbled by his Waitakere CC team mates’ response at his elevation to the Aces side. Young cricketers always bring plenty of energy to a playing group, something both Brown and Lister will be calling on as the season kicks off. 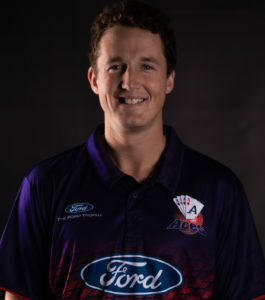 “I try bowl with as much energy as I can,” says Brown. “I hit the deck hard and use my six-foot-four frame. I’ve been working hard with the coaches on improving my skills (swing and variation) but I think my main attribute is a willingness to charge in hard from first ball to last and bowl a heavy nut,” he says. Look out for these two giant quicks charging in for the Auckland Aces this season. ALSO: Make sure you follow us on social media for behind the scenes action and updates. Search ‘Auckland Cricket’ to follow us on Facebook, Twitter and Instagram.